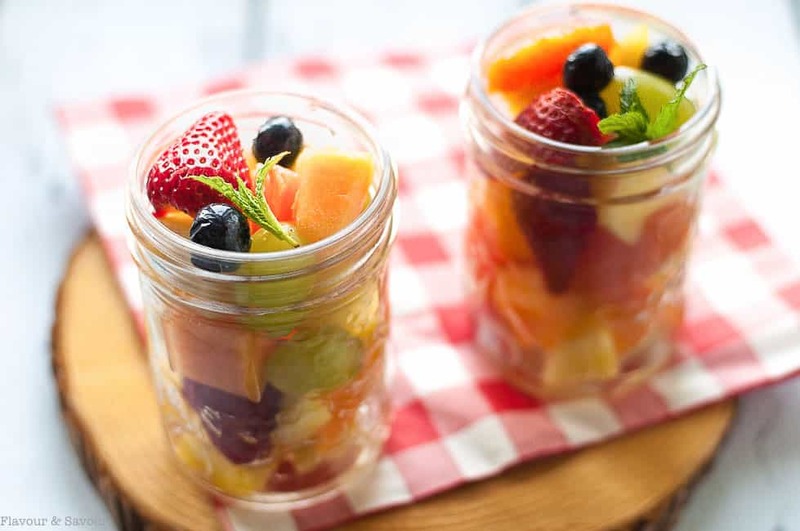 Prep ahead for your next picnic or camping trip by making this Mason Jar Boozy Tropical Fruit Salad before you go. Fresh fruit marinated in Limoncello will be ready to enjoy by the time you’ve set up camp! 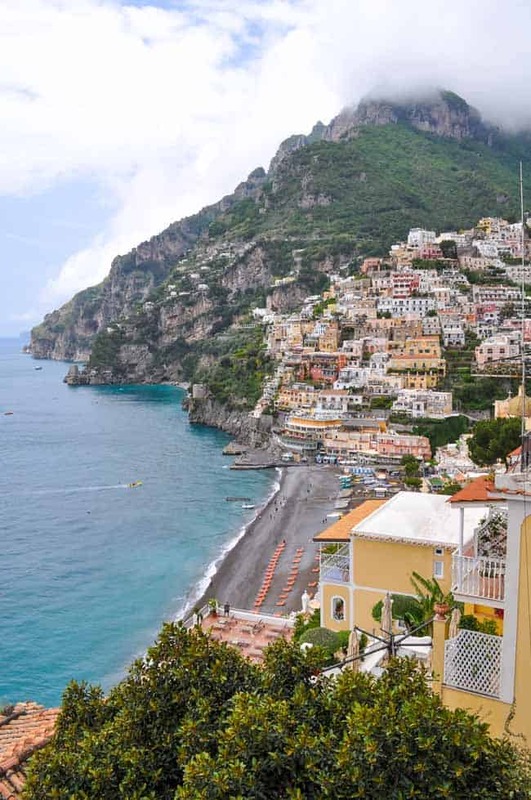 We’re in Limoncello country right now, on the beautiful Amalfi Coast in southern Italy. Limoncello is an Italian lemon liqueur, traditionally made from the zest of Sorrento lemons, but it has become very popular in North America too and is now also made with California lemons. It’s sweet, but not too sweet, it’s good for sipping when it’s ice-cold and it makes delicious desserts. Shops in Sorrento and Positano are lemon crazy and they sell everything from Limoncello in cello-shaped bottles (yes, I bought one) to lemon-flavoured pasta, candies, chocolate, candles and even soap! Once we get back home, it will soon be camping season! Our version of camping no longer involves wet tents, tarps, or Coleman stoves that won’t light in the wind. We go boat-camping in the Gulf Islands of the Pacific Northwest, swim and picnic on secluded beaches, hike trails through cool forests and find a quiet cove to anchor for the night. Eating great food is an important part of the camping experience for us and being able to harvest crabs and prawns or occasionally catch a salmon for dinner is something for which we are grateful. 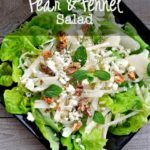 I was inspired to make this Mason Jar salad after reading Chocolate and Marrow’s Mason Jar Campfire Pancakes recipe on Brooke’s beautiful blog. 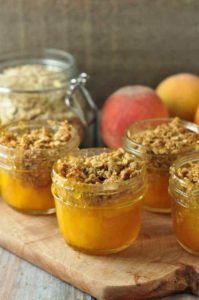 I love dreaming up new camping menu ideas, I adore anything in a Mason jar, so when I read how she prepares her made-from-scratch pancakes before she goes camping, I knew I wanted to be just as organized and do the same. But I opted for a dessert instead of breakfast. After setting up camp, everyone needs a reward, don’t you think? 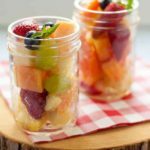 This Mason Jar Boozy Tropical Fruit Salad is an easy dessert that will be even better if you let it sit until you’ve got that tent up. Make it at home the day before and let all that fresh fruit soak up the sweet and tart Limoncello. I have fond memories of our camping trips when I was a kid: visions of my dad cooking bacon in a cast iron pan over a fire in Banff and the smell of slightly burnt toast cooked over the fire slathered with Mom’s homemade strawberry jam. But best of all, I remember those tiny boxes of Kellogg’s cereal! We would slit open the box, pour some milk in and eat it right out the box. The sugary kind was the most sought after, as we were never allowed them at home. Being the youngest, and therefore the last in the pecking order, I never got the Sugar Smacks or the Corn Pops. I grudgingly accepted the Frosted Flakes because, while they were basically just like the Corn Flakes we had at home, at least they had sugar on them. Just because you’re camping does not mean resorting to hot dogs, hamburgers, s’mores and sugary cereals. 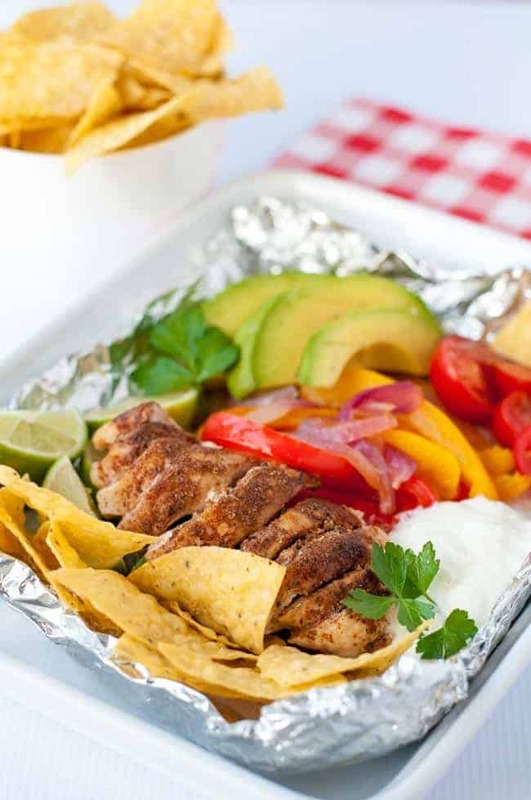 Up your game this year, and try “glamping.” There’s a world of healthy camping culinary possibilities that won’t take a lot of precious time away from your outdoor fun, but will make special memories. Fresh fruit . . . with an Italian liqueur: I think this will be one of them. 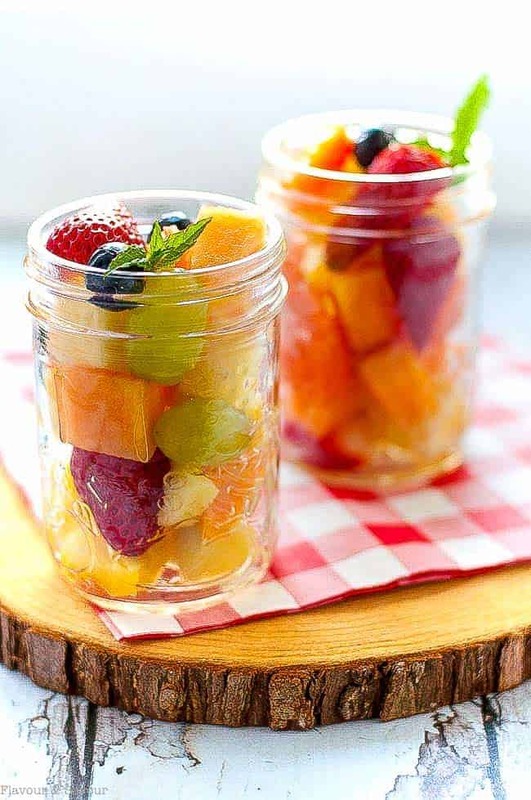 Plan ahead for your next picnic or camping trip by making this Mason Jar Boozy Tropical Fruit Salad before you go. Fresh fruit marinated in Limoncello will be ready to enjoy by the time you've set up camp! 2 cups fresh fruit cut into bite-sized pieces. 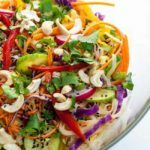 Use pineapple, cantaloupe, strawberries, grapes, oranges, or whatever is in season. 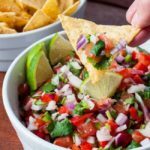 Avoid using tender berries that might get crushed. Fill 8 oz. 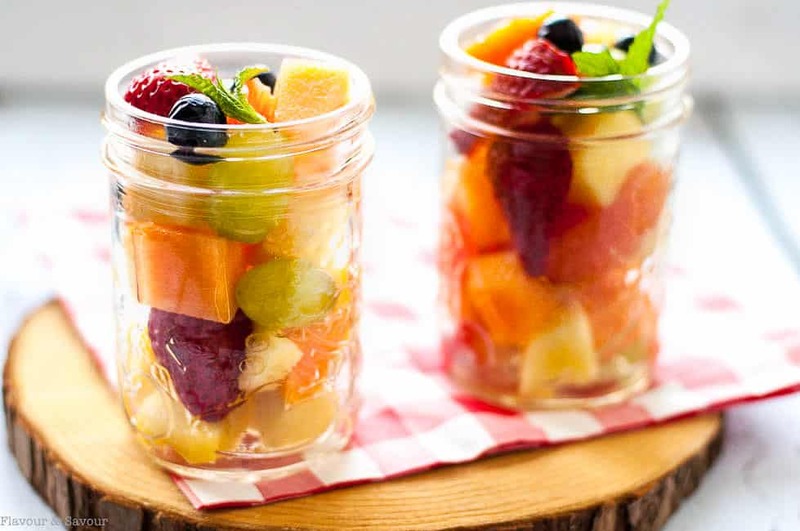 Mason jars with fruit. Drizzle 1 oz of Limoncello over fruit in each jar. Put lids on jars and store in refrigerator. 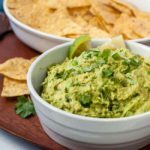 More make-ahead for your next camping or glamping trip!